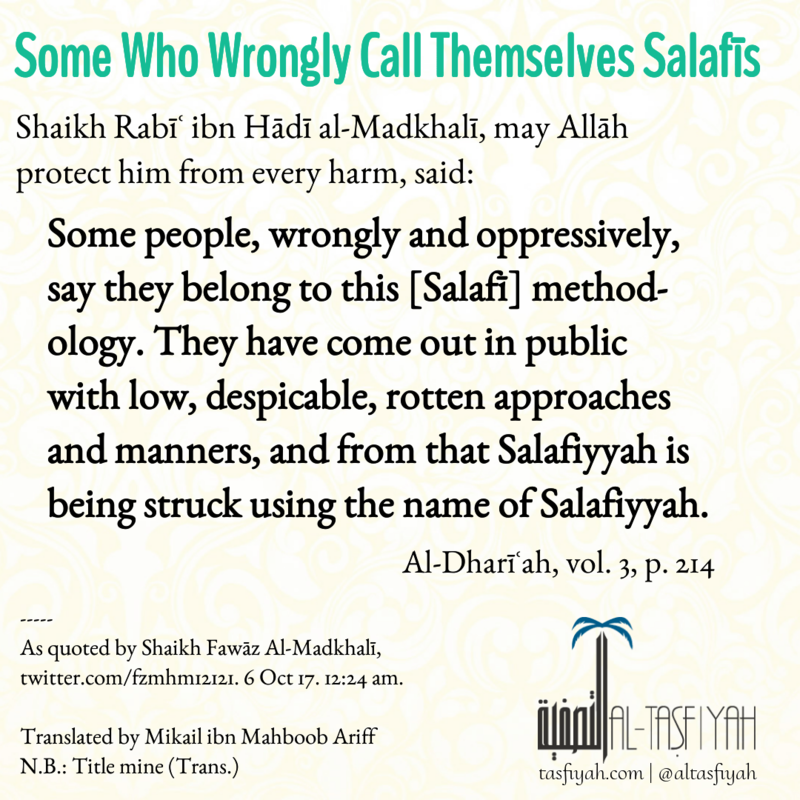 Some people, wrongly and oppressively, say they belong to this [Salafī] methodology. They have come out in public with low, despicable, rotten approaches and manners, and from that Salafiyyah is being struck using the name of Salafiyyah. As quoted by Shaikh Fawāz Al-Madkhalī, twitter.com/fzmhm12121. 6 Oct 17. 12:24 am. © 2015 Tasfiyah.com. All commercial rights reserved. This material may not be reproduced, displayed, modified or distributed by other than Salafi Muslims without the express prior written permission of Tasfiyah.com or its authors. For other permissions, contact us.